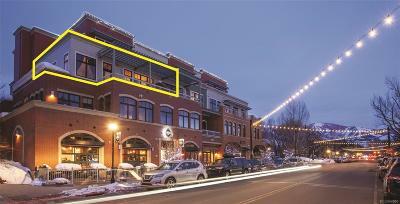 Howelsen Place is located in the middle of everything that downtown Steamboat has to offer. With a premium corner location and abundant windows, this residence is the perfect spot to watch the fireworks and ski jumping on Howelsen Hill. Or stroll to any of the 80 shops and restaurants all within walking distance. Entertain with ease with an open floor plan and kitchen with bar seating, while friends take in the views of the Yampa River and Sleeping Giant from the private deck. Warm woods, expansive windows and a cozy fireplace make it inviting to stay at home. The location makes it easy to engage in an active lifestyle with fishing, biking, skiing and hiking just outside the front door. Want to go to the Ski Area? Leave the car at home and hop on a free bus. A private ski locker room steps away from the gondola awaits for residents of Howelsen Place. Most maintenance is handled by the HOA, allowing time for other pursuits. Excellent rental history!